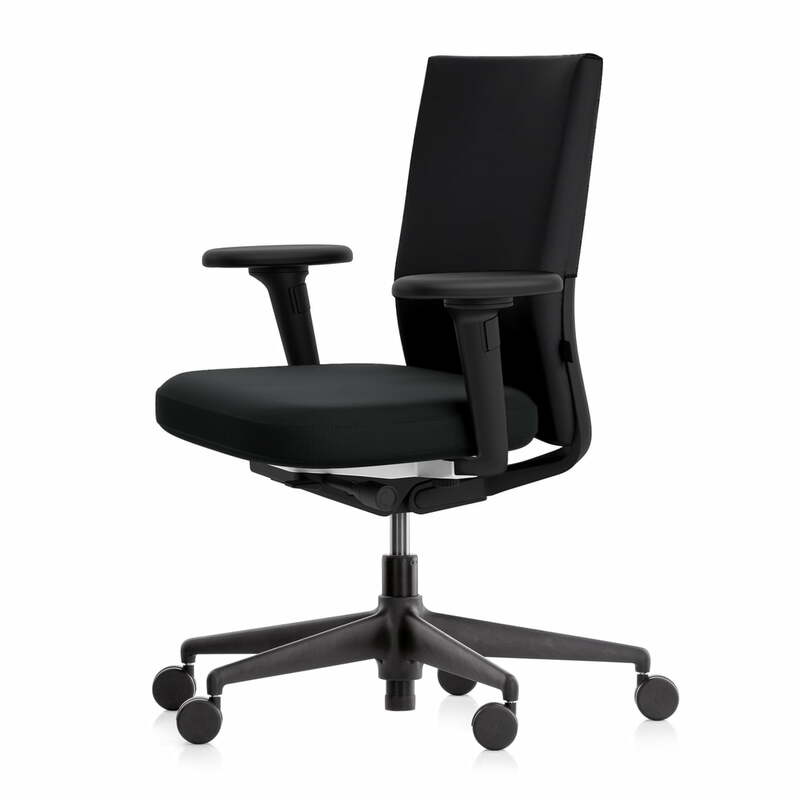 A swivelling office chair that is individually coordinated to single users, teams or situations according to its function and aesthetics, decidedly influencing productivity, health and comfort at the working place. Dynamic seating means to sit comfortably and healthy at the same time. A new, patented chair mechanism also allows a synchronic forwards movement with weight adjustment besides the adjustable backwards movement for the first time. This supports dynamic seating over the whole moving procedure. Thereby the mechanism follows the natural movements of human bodies being in a continuous contact with the back. 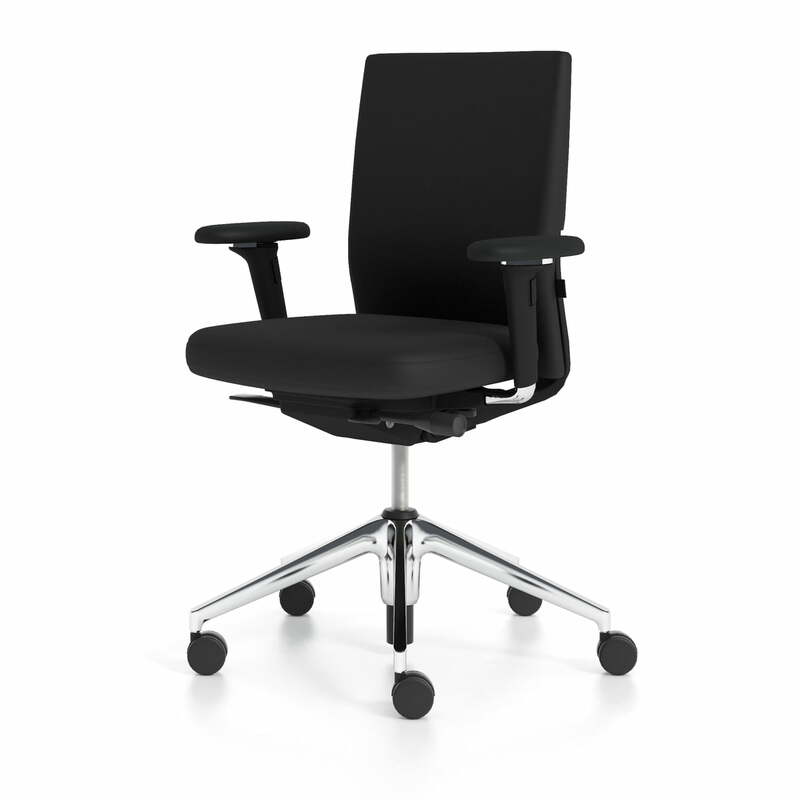 The harmonic mechanism movements encourage the user to sit for a long time on a dynamic way. The counter-pressure of the backrest and the forwards inclining can be adjusted – or balanced, so as to adopt every seating position between maximally laid back in a lounge position and forwards in an upright position without any efforts. 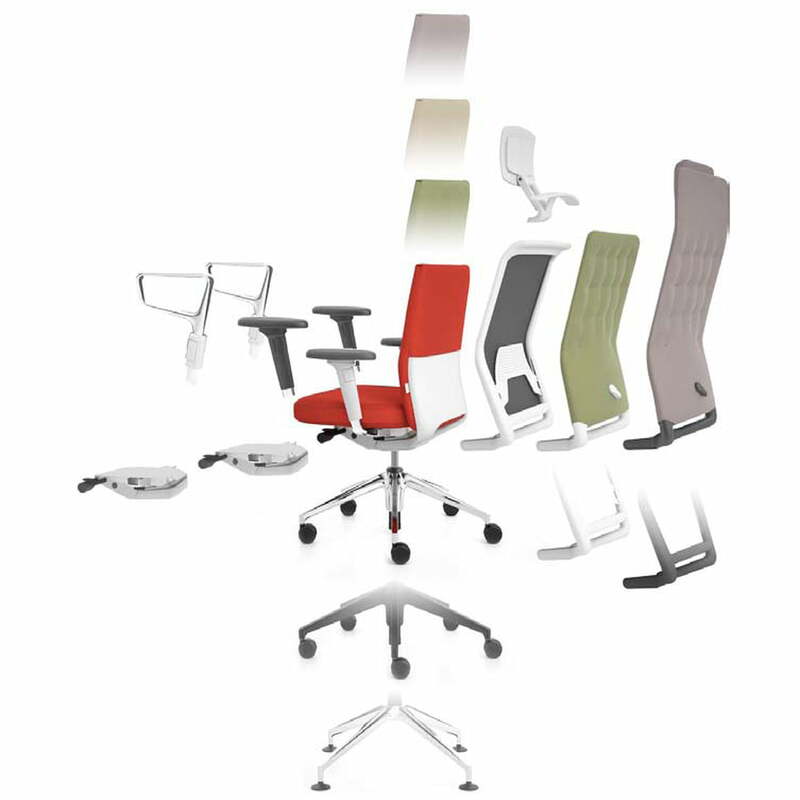 Do you want to configure your ID office chair after your demands, accordingly individual? Then contact us, we will be glad to advise you!